Includes grass installation. Additional charges for asphalt or gravel installations. 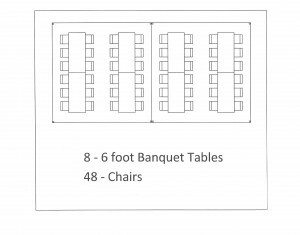 Additional charges for tables, chairs, sidewalls, lights and concrete ballast. 15 x 30 frame tents are a professionally installed tent consisting of a vinyl top stretched over a metal frame. There are no centerpoles allowing for maximum utilization of tent space. 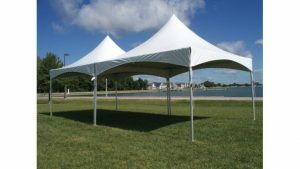 Frame tents work well over driveways, in space restricted areas, or as an addition to larger tents for food prep or food service areas. 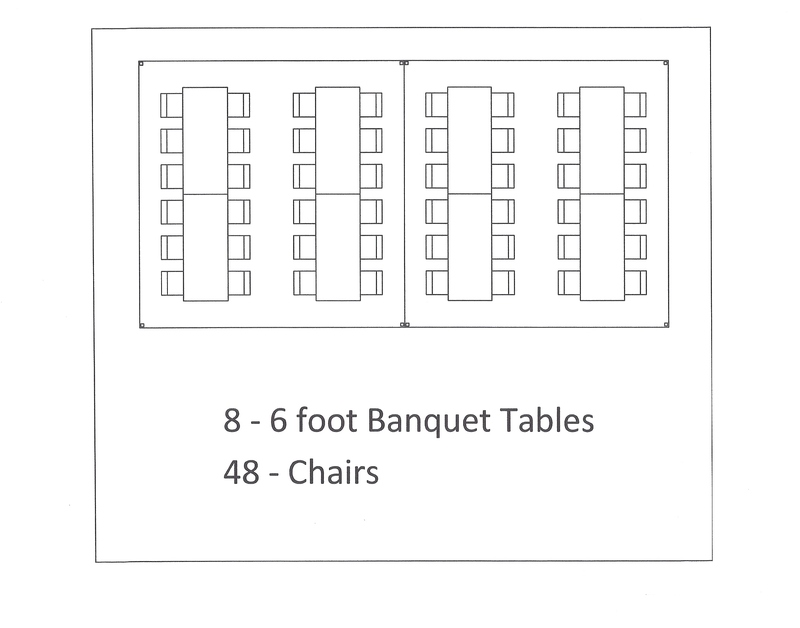 They require a 16 x 31 space. Minimal anchoring is still required but can be accomplished straight down or away from the tent. Anchoring can also be accomplished with concrete blocks on hard surfaces. 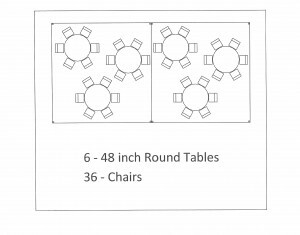 Sidewalls, flooring, and lighting can be added to achieve the right effect for your event. 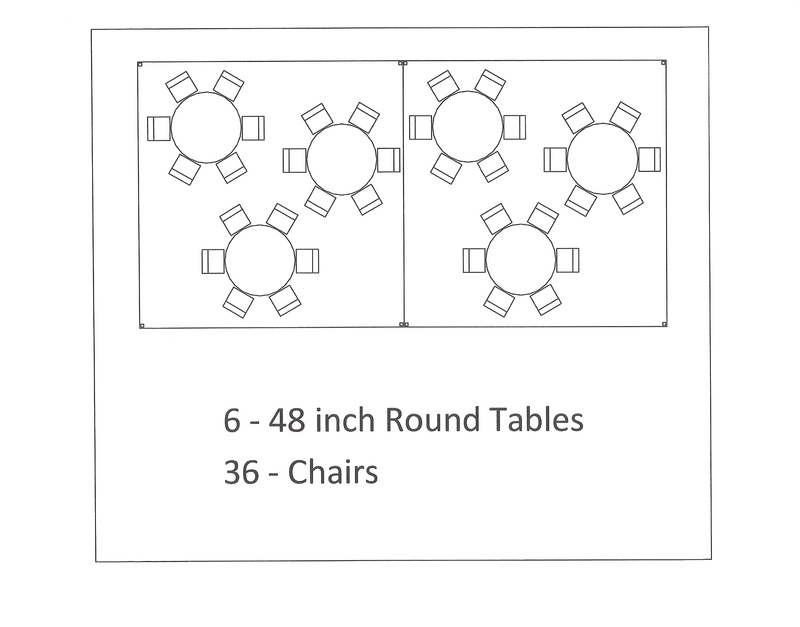 Basic seating arrangements for 15 x 30 frame tents.